When swimmers are plucked from their natural habitat of a chlorinated pool and plopped into open water, most of them shake a little in their suits. This scenario was not the case for Chloe Sutton! Earning several medals in international open water and pool competitions, Sutton has the guts of a champion and a passion for developing young swimmers into courageous competitors. 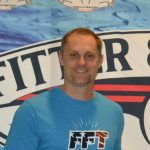 Not many coaches can claim to be experts in both open water and pool swimming, nor can they always communicate proper techniques and race strategies effectively. This, among many other reasons, is why swimmers travel from far and wide to participate in Chloe’s clinics. A clinic with Chloe will change your swimmer’s physical and mental training by breaking down the basics of perfect body positioning and awareness from the fingertips to the toes. From perfect streamlines and head positions to proper upper- and lower-body connections, swimmers will be encouraged to leave their comfort zones to try a new way of moving through the water. It just might set their trajectory to swimming success! “My goal is to make sure that every swimmer feels like they had a special moment with me and plenty of individual feedback. I get hands-on and go from lane to lane, stopping every swimmer to give correction or praise,” Sutton says. “Swimming has prepared me to face all of life’s challenges with a positive attitude. 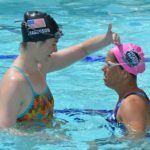 I got through insanely hard practices and devastating defeats only to dive right back into the water.” She is willing and open to sharing these natural and necessary ups and downs that ultimately lead to becoming a tougher, faster swimmer. Get the edge you need by booking her for your next clinic! 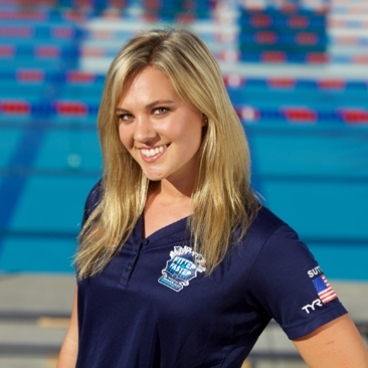 Chloe is a featured elite swimmer on Fitter and Faster’s Swim Video on Demand service. On her videos, Chloe demonstrates many drills and full stroke swimming. The underwater footage and explanations are phenomenal.